It's Zomer Time! — Two Old Guys Drinking Beer! Please check out the Texas Ale Project, a local brewing company, Part of their proceeds from sales of their beer go to veterans' assistance projects. Check them out at www.Texasaleproject.com, and see what you can do to help our veterans. Hey what do you have to lose? You get some good beer and do a good deed. Give it a try! 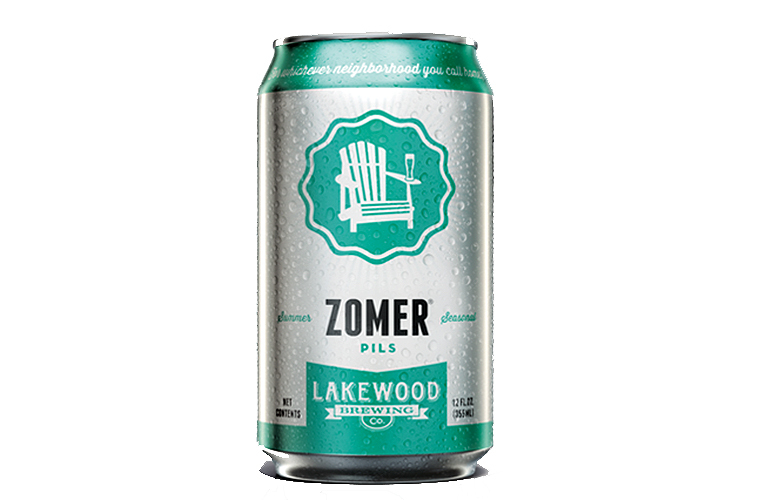 Anyway, to the current beer, Zomer Pils from The Lakewood Brewing Company (Zomer is the Dutch word for Summer, which makes sense we would review it given it is July). Zomer is a Bohemian style Pilsner, a seasonable beer available from May through July. Alcohol volume is 4.8%. Sort of a middle of the road beer to us. Bitterness Units is 34, which is a bit high for a Pilsner. Very hoppy, and more of an IPA in taste than a Pilsner. Light in color. crisp in taste. As the brewer says, "it pairs well with Gouda, Tex-Mex and Air-Conditioning". All three something you want to take advantage of in Summertime.